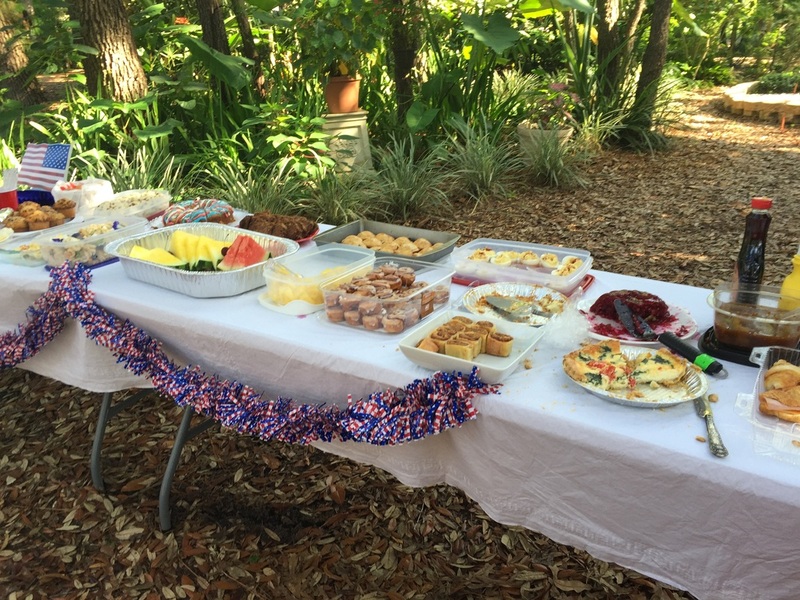 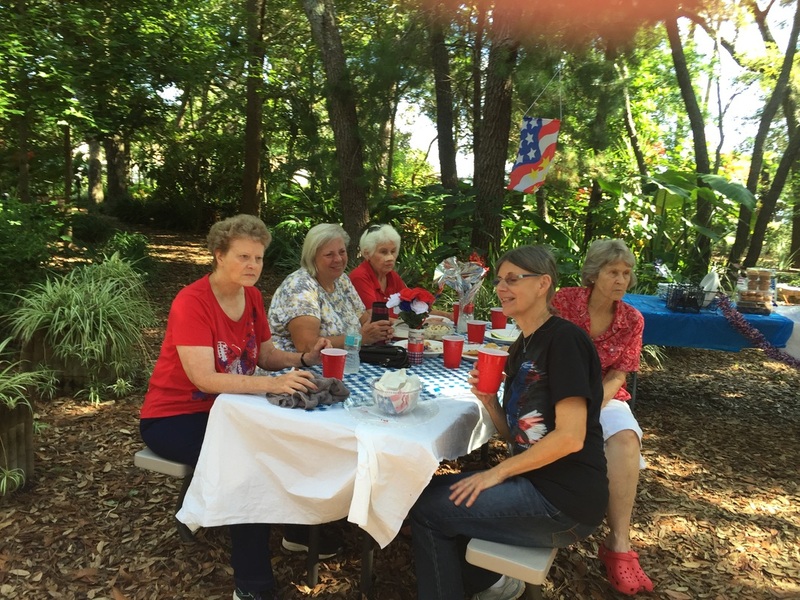 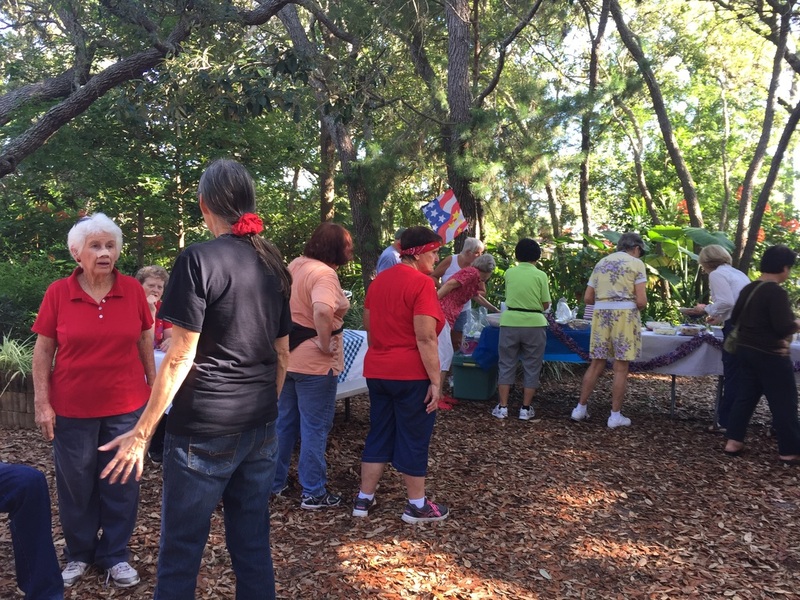 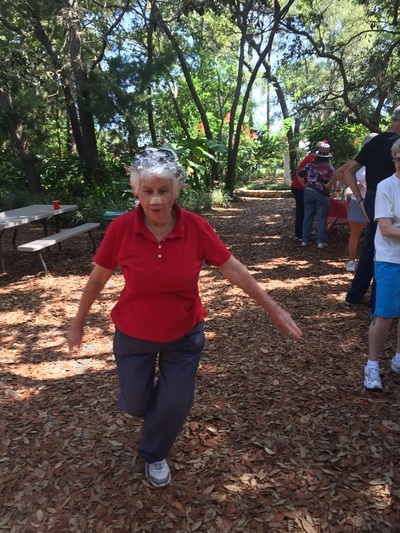 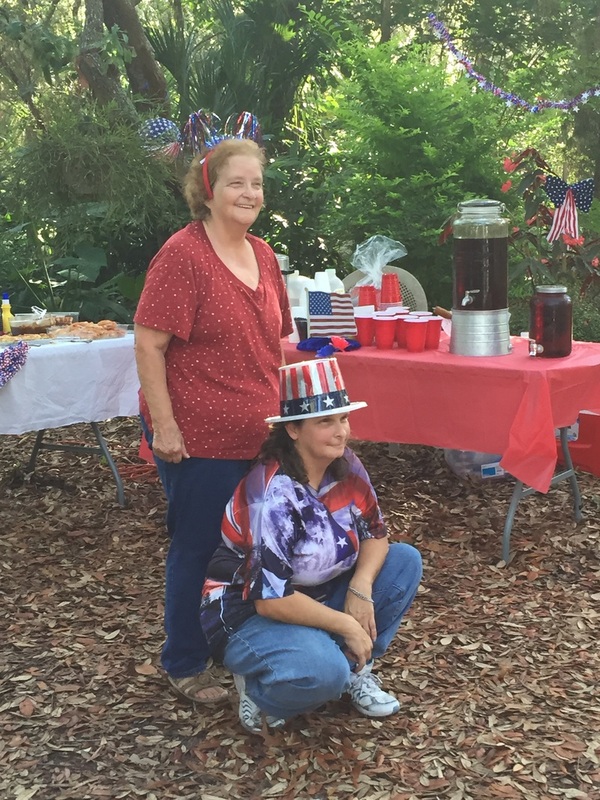 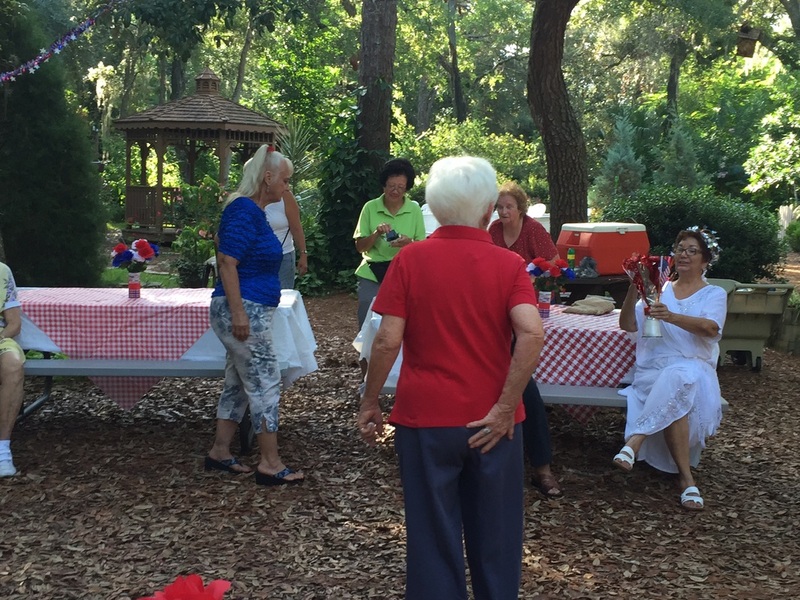 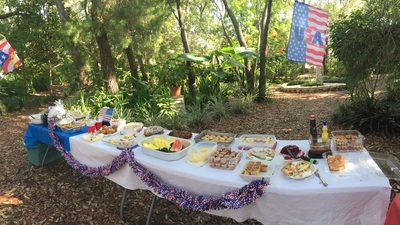 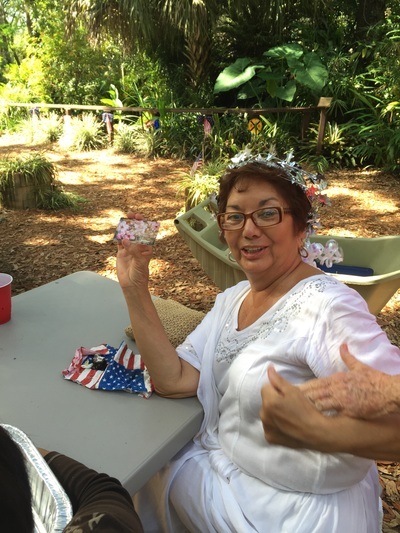 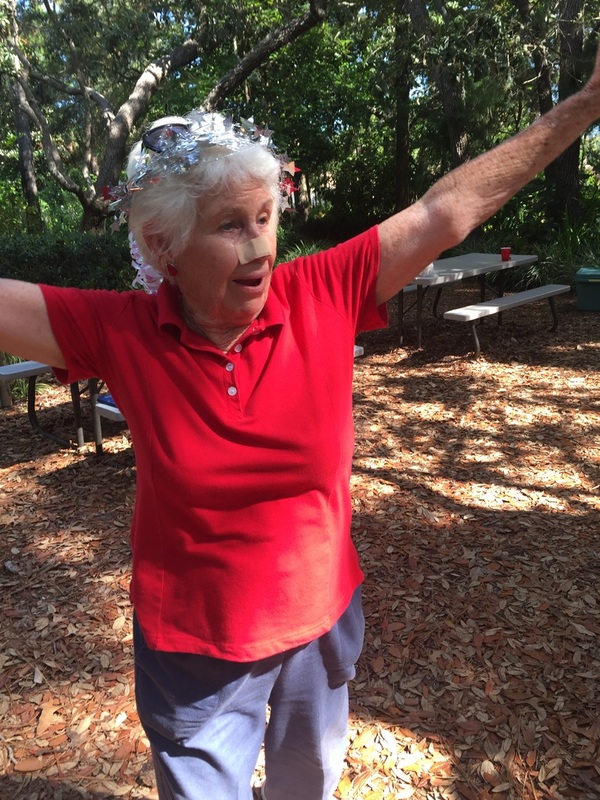 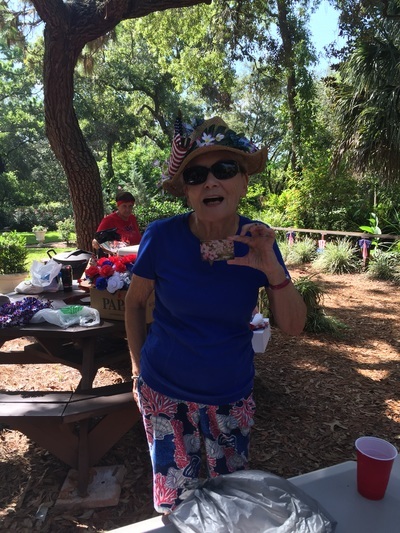 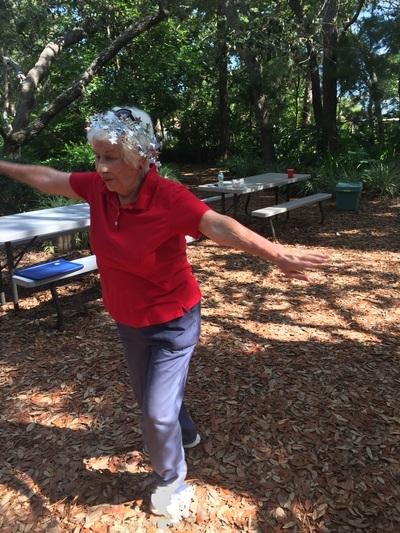 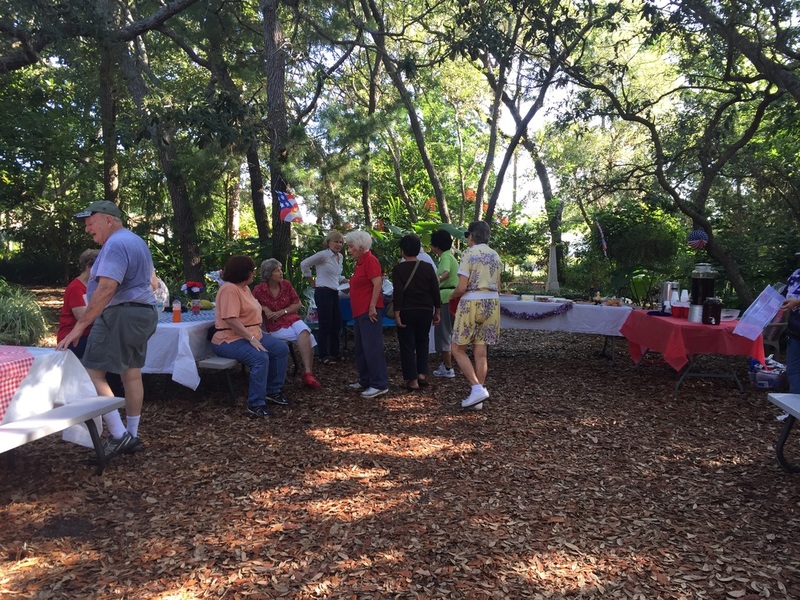 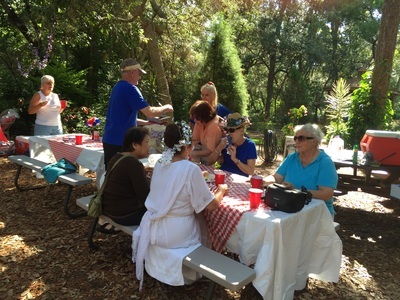 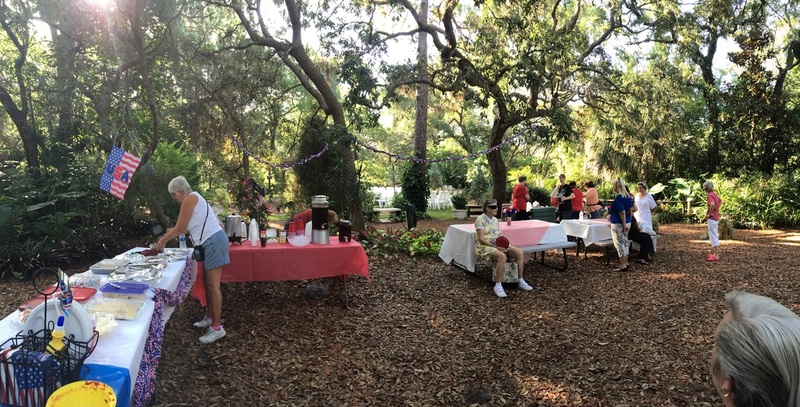 The July 4th brunch in the gardens was a wonderful success thanks to Desiree and Doris Morrice. 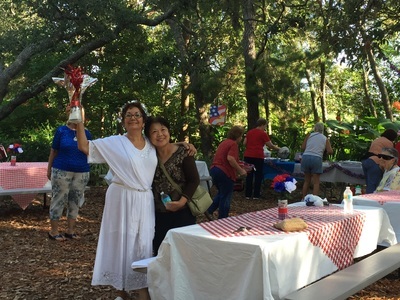 Lady Liberty even showed up!!! 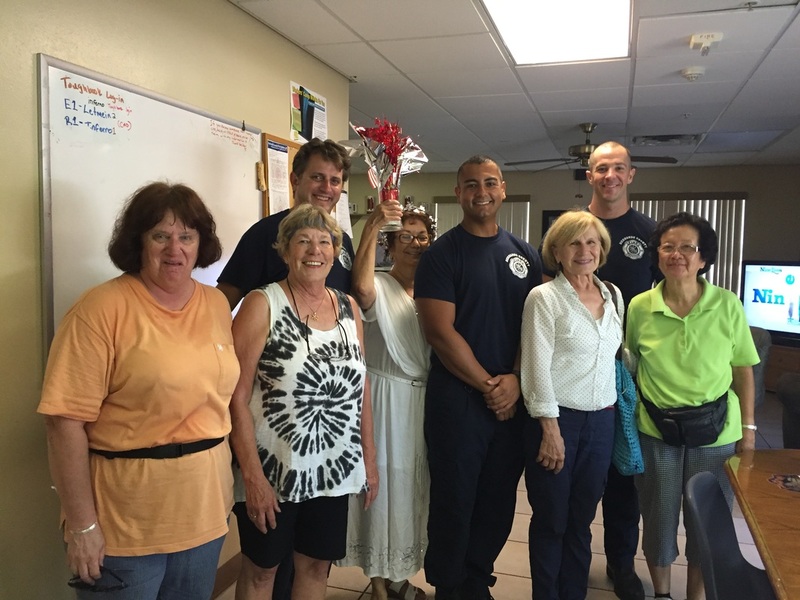 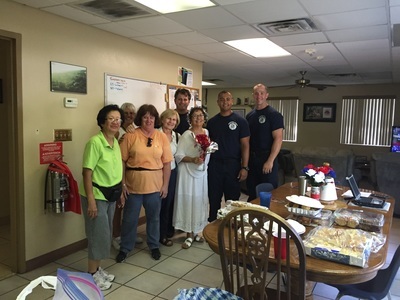 There was so much food that we had plenty to share with the firefighters next door. A gift card was presented to the best hat and best costume. 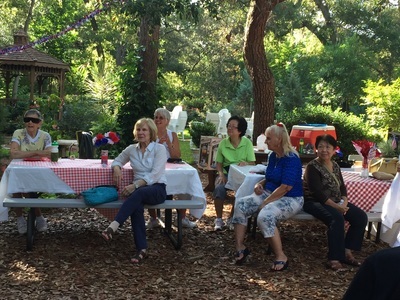 Thank you all for making this a fun event.